Why use this app? 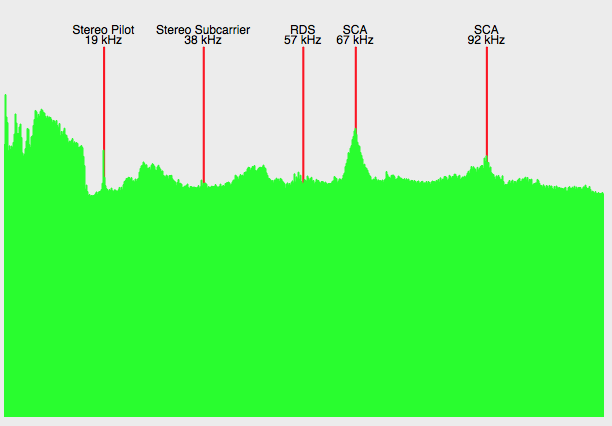 It makes it easy to slog through lots of recording files, looking for intresting signals. Load a file, and a waterfall for the entire file is created. You can scroll around, and if you see anything that looks interesting, you can drag select it, and then demodulate it. 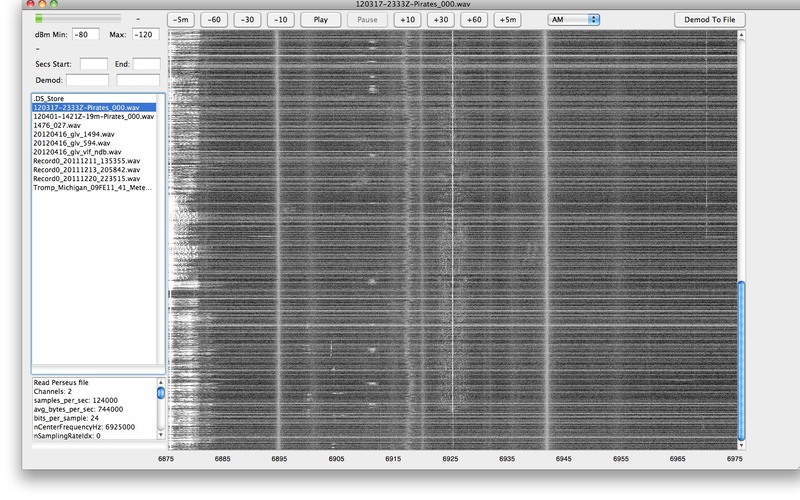 You can even save the demodulated audio as a WAVE file, that you can listen to later, send to someone else, or play into your digital decoding software, if it is an RTTY, SSTV, etc. transmission. Support for other SDR recording file formats is possible, you'll need to work with me by providing sample files and details on the format. This program is presently Mac OS X Only. Support for Windows may happen... stay tuned! mySdrPlayback is offered without any warranty at all. Use at your own risk. Guaranteed to blow up your computer, zap your radios, and destroy pirate radio. Keep away from Al Fansome at all costs.